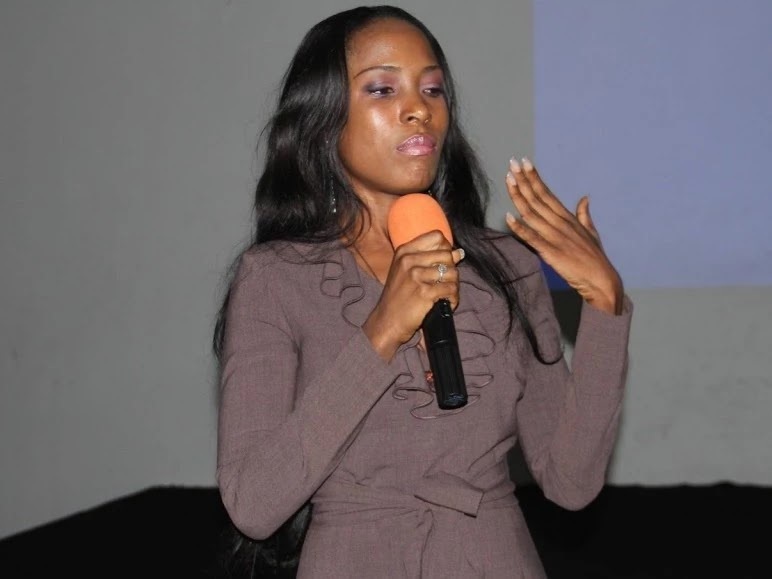 Lagos-based Lawyer Olumide Babalola has dragged the popular celebrity blogger, Linda Ikeji before the Lagos High Court for unauthorized and offensive use of his picture. In Suit No. LD/3265MFHR/2016 before Hon. Justice O.H. Oshodi, the lawyer sued the blogger for damages in the sum of N50, 000,000 (Fifty Million Naira) for the unauthorized use of his picture on her blog for crime-related stories which he claimed has subjected him to mental and psychological torture in violation of his constitutional right to dignity of human person and freedom from degrading treatment. Pending the time of the hearing of the main suit, Justice O.H. 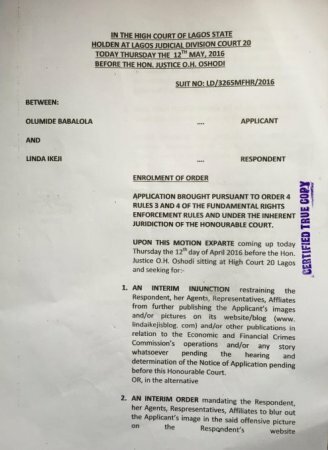 Oshodi granted an injunction restraining Linda Ikeji from further use of the lawyer’s picture otherwise she would be committed to prison for contempt of court. It was gathered that the award-winning lawyer who just returned from New York, United States of America, where he was presented with an International Gold award for quality and excellence in business in recognition of his varying public interest litigations had earlier written to Linda Ikeji to desist from further publication but the blogger called him bluff. The matter has been adjourned to September 2016 for hearing.